Daily Oklahoma Cash Grain Prices- as reported by the Oklahoma Dept. of Agriculture on Friday afternoon, August 10th. The August Crop Production report for the US- the national numbers came in HOT- above the trade expectations for both corn and soybeans. USDA says Corn production is forecast at 14.6 billion bushels, down less than 1 percent from last year. Based on conditions as of August 1, yields are expected to average 178.4 bushels per acre, up 1.8 bushels from 2017. If realized, this will be the highest yield on record for the United States. Soybeans were also well above trade expectations- and that tanked the soybean market on Friday- and they led the way down for crop futures. In fact, the soybean estimate is 4% larger than last year's record crop- and USDA says farmers can expect the lowest season-average price for soybeans in 12 years and the largest soybean stockpile ever, which likely will hold down prices in the future. As for the Oklahoma August first numbers- Oklahoma's Upland Cotton production is predicted to total 830 thousand bales, 19 percent lower than 2017. Yield averaged 766 pounds per acre, compared with 882 pounds last year. Acreage harvested, at 520 thousand acres, is down 6 percent from last year. If this number of harvested acres is correct- that will mean over 200,000 acres of cotton planted this spring will end up being abandoned. We were told last week by State FSA Exec Scott Biggs that they cotton acres certified by farmers to FSA are around 749,000 acres- which is where we are getting that abandoned acre stat. Meanwhile, Oklahoma soybean production is forecast at 19.2 million bushels, up 3 percent from last year. Yield is expected to average 30 bushels per acre, compared with 29 bushels in 2017. Harvested acreage, at 640 thousand acres, is unchanged from last year. Cotton and Soybeans are are the crops that have gained the most acres as wheat acres in Oklahoma have shrunk in recent years- as for the other Oklahoma crops- hay stats and the link to the complete August USDA report- click or tap here. US Secretary of Agriculture Sonny Perdue notified Governor Mary Fallin at the end of this past week that he has designated four Oklahoma counties as primary natural disaster areas due to a recent drought. A Secretarial disaster designation makes farm operators in primary counties and those counties contiguous to such primary counties eligible to be considered for certain assistance from the Farm Service Agency, provided eligibility requirements are met. The Secretarial declaration means farmers and ranchers in Nowata, Rogers, Mayes and Delaware counties can apply for certain types of aid including emergency loans. Those contiguous counties in Oklahoma are Washington, Tulsa, Wagoner, Cherokee, Adair, Craig and Ottawa as well as the Kansas counties of Montgomery and Labette, McDonald County in Missouri and Benton County in Arkansas. Michael Cassidy was named the 2018 Mr. Wheat at the recent Oklahoma Wheat Growers' Association annual meeting on August 9 in El Reno. The Oklahoma Wheat Growers' Association is pleased to honor Mr. Cassidy for his many years of dedication to the Oklahoma wheat industry. Click here to read more about Cassidy. Also at the Wheat Growers meeting, they honored Jeff Wright- naming him the 2018 Wheat Advocate. Jeff is the Coordinator for Production & Operations of the Oklahoma Foundation Seed Stocks at Oklahoma State University. Under Jeff's guidance, Oklahoma Foundation Seed Stocks annually produces an average of 17,000 to 18,000 bushels of seed for wheat, up from an average of 10,000 to 11,000 just a decade ago. Much of this growth is attributable to Jeff's focus on customer service and his high level of coordination and involvement with OSU's Wheat Improvement Team. Click or tap here to read more about Jeff- and the difference he has made in the wheat industry. R-CALF USA is expanding their war on the Beef Checkoff by asking for a preliminary injunction now in place against the Montana Beef Council to be extended onto the state beef council's part of the checkoff in 13 additional states. The group announced last week that it is going back to U.S. District Judge Brian Morris in Montana- hoping to expand the court order and potentially cripple the work of the additional 13 Beef Councils at the state level. The list of states in the litigation announced on Thursday by R Calf includes the three largest beef checkoff states (in terms of dollars remitted to the Beef Board)- Texas, Kansas and Nebraska. Together, they sent $12.328 million dollars to the Beef Board in Fiscal Year 2017, 36% of the monies submitted from qualified state beef councils. Based on the Checkoff rules that has the qualified State Beef Councils keeping fifty cents of every dollar they collect, that would mean a similar amount would be up for grabs because of this attack on these three key state beef councils by R-CALF USA. In our latest Beef Buzz- we turn the clock back and hear from the CEO of the populist cattle group R-CALF, Bill Bullard, as he describes for us what exactly the litigation against the Montana Beef Council has delivered to the opponents of the Beef Checkoff program. Bullard talked me when he was in Oklahoma last October for an organizational meeting of the Oklahoma Independent Stock Growers Association. You can hear his comments about the Montana Beef Council case in this Beef Buzz report by clicking or tapping here. "The National Cattlemen's Beef Association (NCBA) is fully committed to the Beef Checkoff Program and the state beef councils who carry out necessary demand-building programs on behalf of the industry. For more than 50 years, state beef councils have been the cornerstone of beef promotion, enjoying widespread support from the vast majority of the beef producers who invest in the Beef Checkoff. "This week's attack by R-CALF and its activist partners on 13 additional state beef councils is nothing more than an attempt to broaden the damage they have caused in Montana. There they have already weakened the producer-directed programs that support beef demand and divided neighbors in a manner that undermines the best interests of the entire beef community. "Although NCBA is not a party to the litigation, the association's support for the Beef Checkoff is unwavering. We will stand with the state beef councils and help defend them against the attacks being orchestrated by R-CALF and its activist allies, who are aligned with the Humane Society of the United States and other anti-agriculture organizations." The Stitt for Governor campaign has announced that several additional ag producers have joined as supporters of Kevin Stitt for Governor- making the total now 80 farmers and ranchers across the state who have endorsed Kevin Stitt in his campaign to become the next governor of Oklahoma. "I am honored to have the strong and diverse support of leaders from our hard-working agriculture community," said Stitt. "Agriculture is one of Oklahoma's economic mainstays, with our farmers and ranchers producing food and fiber for not only our state but also millions of people worldwide. Because our agriculture economy is so diverse, it is imperative that all facets of the industry have a seat at the table. As governor, I will seek advice from and fight to protect the agriculturists, farmers, and ranchers that play a vital role in driving economic opportunity and job growth in Oklahoma." Farmers and ranchers endorsing Stitt span across 37 different counties- a couple of the new names on the list include Tammi Didlot, past president of Oklahoma and American National CattleWomen and current CFO for American National CattleWomen. Didlot says of the candidate, "As a business owner and rancher, it is refreshing to see someone like Kevin Stitt in the race. I appreciate someone willing to run government like a business with transparency. His work mantra is similar to mine, 'don't ask others to do anything you wouldn't do!'" Click here to read more- and to see the complete list to date of those who have come out publically to support Kevin Stitt. At the end of this past week- a California state court jury awarded $289 million to terminally ill Dewayne Johnson on grounds that Roundup, the most widely used weedkiller in the world, gave the former school groundskeeper cancer. The verdict could set a precedent. Hundreds of other patients are suing Monsanto and claiming Roundup is responsible for their cancer. CNN reported this past week that "Johnson's case was the first to go to trial because doctors said he was near death. And in California, dying plaintiffs can be granted expedited trials." Jurors in state Superior Court in California decided Johnson should receive $39 million in compensatory damages and $250 million in punitive damages from Monsanto. Johnson applied Roundup 20 to 30 times a year and twice was soaked with the herbicide during accidents, according to his attorneys. Two years after the first accident, in 2014, he was diagnosed with non-Hodgkin's lymphoma. Meanwhile- Monsanto says they will defend themselves. "We are sympathetic to Mr. Johnson and his family," Monsanto Vice President Scott Partridge said in a statement following the verdict. "Today's decision does not change the fact that more than 800 scientific studies and reviews ... support the fact that glyphosate does not cause cancer, and did not cause Mr. Johnson's cancer." He confirmed the company will appeal the decision "and continue to vigorously defend this product, which has a 40-year history of safe use and continues to be a vital, effective, and safe tool for farmers and others." In reading a variety of stories about the case and the verdict- the one that struck me was the transcript from NPR and the reporter that was there for them- Dan Charles. Charles says "What I find most interesting is the fact that the jury did not believe or give credibility to the - sort of the official institutions that are responsible for evaluating safety of a chemical. It didn't matter what the EPA says, the Environmental Protection Agency or the European Food Safety Agency (ph). The plaintiffs basically said the government is too cozy - the regulators are too cozy with the companies. And that was convincing to the jury." Emotion vs Science- last week- the emotions of this man that is dying because of having cancer trumped science. At the recent Oklahoma Wheat Growers' Association annual meeting on August 9 in El Reno, I had the opportunity to sit down and talk about the wheat breeding efforts at Oklahoma State University with Dr. Brett Carver, Regents Professor and the Wheat Genetics Chair in Agriculture. Dr. Carver leads the OSU Wheat Improvement Team- and under his direction, OSU has one of the premiere wheat breeding programs in the United States and beyond. Dr. Carver and I looked back at the 2018 growing season and what Carver and his team learned from the extremely difficult conditions that resulted in Oklahoma wheat producers about half of a normal wheat crop. Dr. Carver reviewed what his experimental lines looked like during the 2018 growing season- and where the wheat breeding program stands in releasing any new varieties yet here in the fall of 2018. Dr. Carver says, subject to OSU approval, it is likely at least one new variety will be announced in the near future. Click or tap here to jump over to our website to listen to our full conversation with Brett Carver. AND- for those of you that enjoy and listen regularly to Podcasts- check out our three podcasts that you can subscribe to on iTunes or can easily add to whatever podcast program that you prefer to use. In the case of the series that Dr. Carver's complete interview is a part of- our Ag Perspectives Podcasts- click here to subscribe in iTunes. You can also subscribe to our Beef Buzz series of reports- click here to subscribe to that series. And, our morning farm news, as heard on the Radio OKlahoma Ag Network- is also a Podcast feature- click here to subscribe to it. 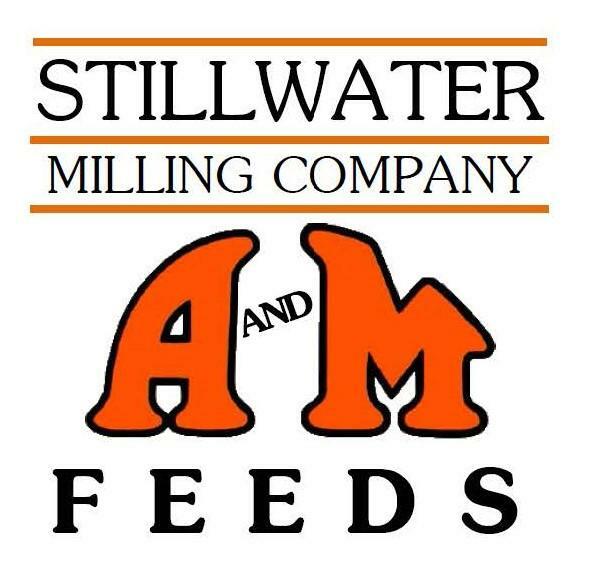 Our thanks to Midwest Farms Shows, P & K Equipment, Livestock Exchange at the Oklahoma National Stockyards, Oklahoma Farm Bureau, Stillwater Milling Company, National Livestock Credit Corporation, Oklahoma Beef Council, Oklahoma AgCredit, the Oklahoma Cattlemens Association, and KIS Futures for their support of our daily Farm News Update. 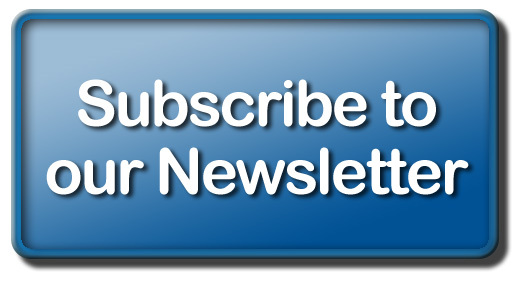 For your convenience, we have our sponsors' websites linked here- just click on their name to jump to their website- check their sites out and let these folks know you appreciate the support of this daily email, as their sponsorship helps us keep this arriving in your inbox on a regular basis- at NO Charge!